Imagine you’re going on a date. It’s been a while, and you’re a little nervous. You spend due time, maybe put on some nice makeup or for the guys, shave or trim the beard. You tidy up the hair, put on some nice clothes, clean pair of shoes… and then the town for a great night out (you hope!). But when you meet your date, something interesting happens; he or she judges you at first glance and makes an assessment, sometimes conscious, sometimes unconscious – and in an instant they like you, or they don’t. Yes, it’s true; we do judge and make a physical connection with people whom we find attractive. And it’s incredibly rare that we find ourselves attracted to a person who we think is ugly!! It’s rare that we are attracted to a business that we don’t (on the outside) like. Just as we unconsciously make silent judgement of people when we meet them, we do the same in business. Is that initial impression of the new person you’ve met honestly true? Not always. I’d even say very rarely. There is ALWAYS more to a person than what you see with your own eyes. The kindness of their character is what’s found ‘behind’ their eyes; their life, their experience, their dreams. Very rarely is what you see right up front the complete truth about that business. Before you get a chance to talk to that business, read more information about that business, get to dig in deeper about that business – your create a ‘snap shot’ view about that business based on your first impressions on what you ‘see’ before you really get to SEE them! Just like on that first date. So… what should we do then with this information? How can we apply this to the development and growth of our online business? Simply this: As a part of our business makeover, we need to ‘review’ all those places online where a potential customer might ‘see us’ before they actually SEE us. We need to look at those places where a customer might take a glance at us and make an initial impression before they click through to our website to take a second look. 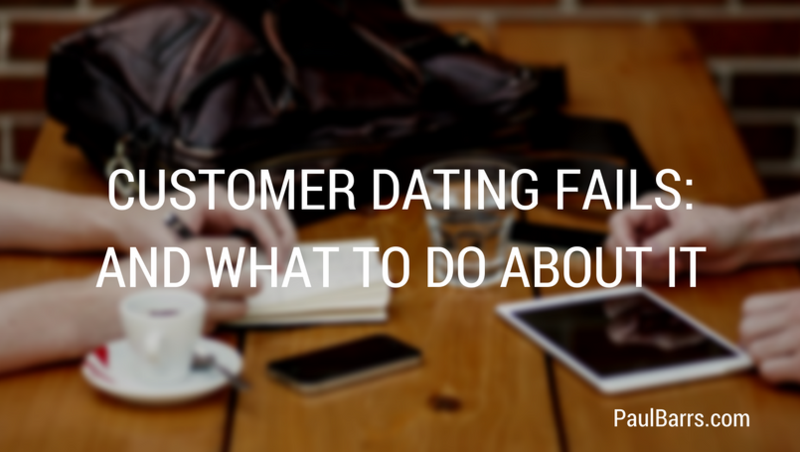 The goal online is this – we need to get our customers to that 2nd date! (The 2nd click). Therefore we need to review and ‘make over’ the way we are presented online. So… go looking. When was the last time you Google’d yourself? Probably yesterday, right 😉 But when was the last time you searched through the listings through to page 5, or page 10 – and clicked open every link that linked to a reference with your business in it… and then took the time to review (and if possible upgrade) that reference? Probably never. While you’re at it, take a look at how you ‘look’ on social media. Look at Facebook, look at Twitter, and look at LinkedIn or Instagram or Pinterest. Start creating a list and go looking. Yelp / Hotfrog (and other business directories). Look at EVERY PLACE ONLINE where that “first date” might take place. And then look to see if you can edit it, upgrade it, or make ‘over’ it to try and get potential customers to that 2nd date / 2nd click. Then go do the same thing offline! Here’s the thing; many of us spend so much on advertising and branding, and we work so hard at building a consistent message for our business IN our business (on our websites, in our brochures, with our business cards), yes, even with our social media posts… but we FORGET all those other places where people can see us ‘before’ they actually SEE us. How DO you appear online? How DO people see you before they actually click through to your website before they SEE you? 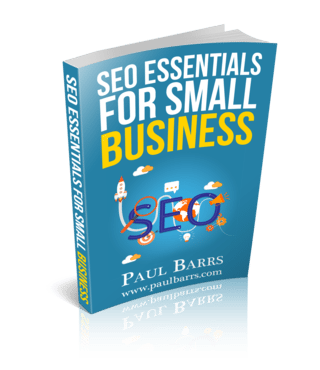 If the way you’re presented out there is lousy, then it’s very possible you’re missing out on thousands of potential customers each and every month or every year. And the thing is, if you don’t take the time to review – to stop and take a look at how you’re appearing online (in the likely hundreds or even thousands of ‘first date opportunities), look to see if they can be updated. Check out how you appear online and go do a makeover. It could make a million dollar difference.